Mary has found her passion and purpose in life sharing the deeper teachings of Yoga with her students. She first found her teacher, Rod Stryker, in 2004. Since her initiation in 2010, she has realized that her life has been guiding her towards this ParaYoga lineage all along. She is happy to be home, and honored to be a part of a Sri Vidya Tantric tradition dating back several thousand years. 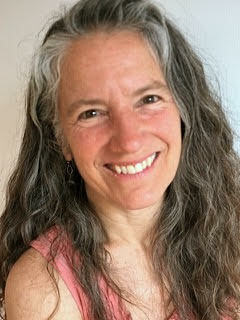 Within Para Yoga, Mary is certified Level III and certified as a Four Desires Trainer. She is also certified E-RYT 500 through Yoga Alliance, and certified in Yoga Therapy through Body Balance Yoga. regular courses on The Four Desires, based on the book by Rod Stryker. Private sessions can be tailored to meet a student’s unique needs. Mary’s weekly classes combine precise alignment with deeply focused breath work, emphasizing both strength and ease. Mary especially loves guiding her students in meditation, and class sequences are designed to support the final seated practice. In addition to yoga, Mary is a dancer and a singer. She holds an MFA in dance, and spent over twenty years as a professional dancer, teacher and choreographer. Her dancing has deeply informed her yoga journey: dance was for her a spiritual investigation and commitment – an invitation to channel Divine energy and impulse. Inevitably, dance also offered multiple injuries – opportunities to experience healing through yoga. From her earliest memories, Mary has been a singer, and deeply relates to the notion that we are all somehow caught up in “the song of life”. She views yoga as a path of spiritual transformation which encompasses the deepest form of healing, as well as a path of celebration and growth, as we discover how we can all participate more fully in this song of life.